Wonderful Western District Women is a series looking at some of the great women I’ve come across while compiling Passing of the Pioneer posts. All posted during Women’s History Month, each part examines the women’s lives a little more than in the Passing of the Pioneers entries. This is the fourth part and you will find the links to the previous three at the bottom of this post. The three women featured this time have contrasting lives and for two, there are the twists of fate bringing them to the Western District. As usual, if you click on any underlined text, you will go to further information about a person or subject. Catherine Grady was born in County Wexford, Ireland around 1832. The Ireland Catholic Parish Registers show the baptism record of a Catherine Grady from the St Mullins Catholic Parish, Wexford, Ireland during June 1832, a daughter of Michael and Catherine Grady. When Catherine was thirteen, Ireland went into a period of famine, often called the Irish Potato Famine. Around one million people and another one million people left Ireland. Catherine Grady found herself in the New Ross Workhouse. The Earl Grey Scheme running between 1848 and 1850 saw 4000 Irish girls sent to Australia. They came from various workhouses across Ireland and New Ross Workhouse was part of the scheme. Seventeen-year-old Catherine was taken to Plymouth, England and with around 200 other girls she left for Melbourne on the New Liverpool. “THE EXECUTION. OF RUSH.” Port Phillip Gazette and Settler’s Journal (Vic. : 1845 – 1850) 11 August 1849: 4. Web. 13 Mar 2018 <http://nla.gov.au/nla.news-article223156756&gt;. After more than three months Catherine arrived at Melbourne on 9 August 1849. “Shipping Intelligence.” The Melbourne Daily News (Vic. : 1848 – 1851) 10 August 1849: 2. Web. 13 Mar 2018 <http://nla.gov.au/nla.news-article226472872&gt;. 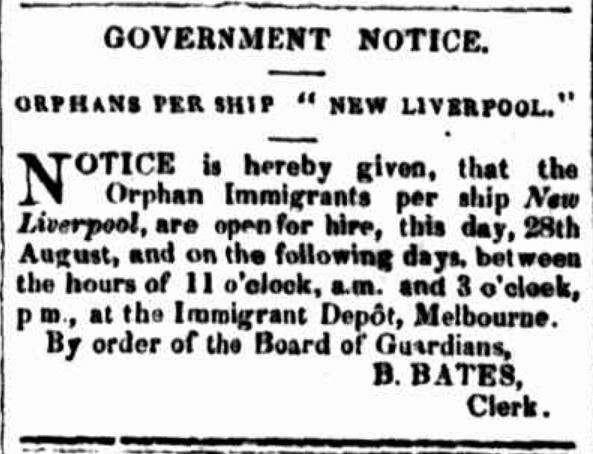 The Geelong Advertiser reported on 30 August 1849, “The girls appear to be clean and healthy, and female labour being scarce, their opportune arrival will prove a great acquisition to the district.” Advertisements ran in newspapers with potential employers invited to the Immigration Depot, a collection of tents off what is now King Street, Melbourne. “Advertising” Port Phillip Gazette and Settler’s Journal (Vic. : 1845 – 1850) 28 August 1849: 3. Web. 13 Mar 2018 <http://nla.gov.au/nla.news-article223155586&gt;. Catherine could read and write and her calling was a nursemaid. However, a month later she was still waiting at the immigration depot. In September 1849, it was reported, “Only 57 adult emigrants by the Courier, could be prevailed upon going to Portland per Raven; about sixty-four orphan girls from the depot are to be sent to make up the number for which the vessel was chartered”. 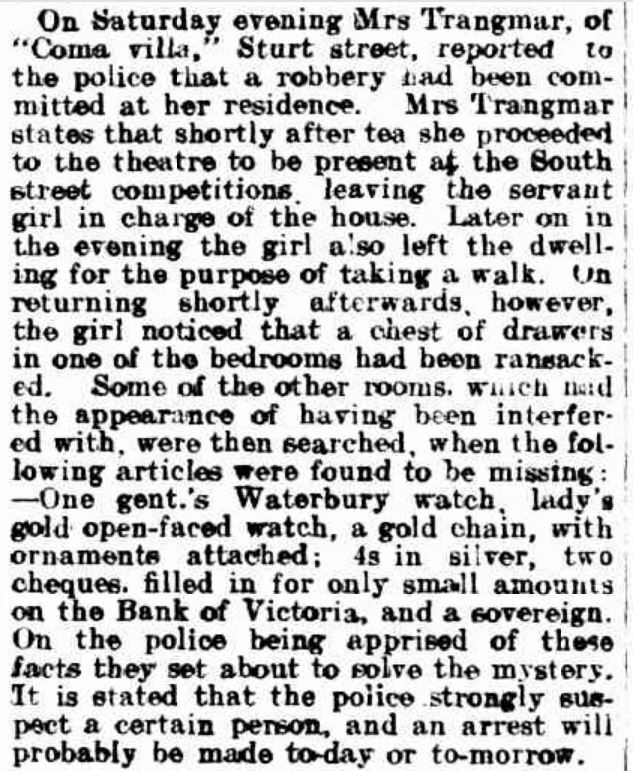 (Geelong Advertiser 22 September 1849). Catherine was one of the girls selected to sail on the Raven, a voyage which provoked a response from the Portland Guardian, criticising then Superintendent of the Port Phillip district Charles La Trobe. The Port Phillip Gazette and Settler’s Journal published the Guardian‘s article with a disclaimer from the paper’s own editor. 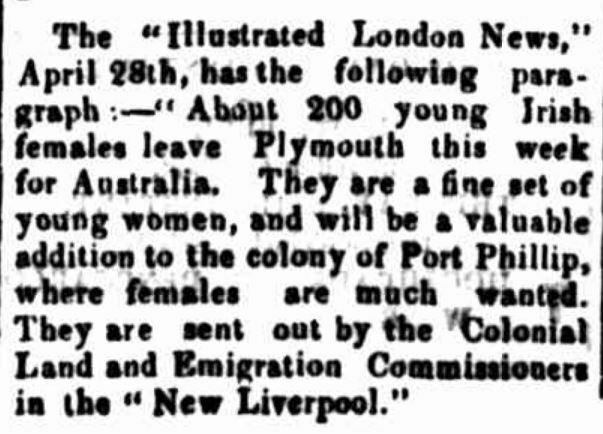 Despite the Guardian’s gloomy prediction, the girls arrived safely at Portland on 4 October 1849. It wasn’t long before Catherine was employed by Port Fairy solicitor George Barber. George had married Charlotte Meare on 2 July 1849 at Port Fairy and Catherine may have been employed Catherine for her nursemaid skills. Her pay was £12 for a twelve month term. Around 1852, Catherine married Archibald Hamilton at Port Fairy. The following year, the couple’s first child was born in that town. Her name was Catherine Grady Hamilton. Catherine and Archibald raised a family of twelve children born from 1853 to 1877. Archibald got a job as an overseer for Donald McKinnon at Kangaroo Station, Hotspur. By 1857, Archibald was overseer at Mt Napier Station for Mr Phillips. In 1873, Archibald applied for a ten-acre allotment at Macarthur. On 23 June 1884, Archibald died at Macarthur aged sixty-three. At the time, the youngest of the children was seven and Catherine needed to provide for her family. She offered her services as a nurse and midwife and it was said she attended over 300 maternity cases over the following years. Almost seventy-seven years after Cathrine arrived from Ireland, she died at Macarthur on 3 January 1916. Her age at the time was given as eighty but Catherine could have been as old as eighty-four. Her obituary read, “her quiet unassuming manner and readiness to render assistance and advice to anyone in need…had endeared herself to the whole community”. Isabella Murray was born around 1852 at Summer Hill, Allansford, the property of her parents James Murray and Isabella Gordon. Her parents had arrived from Scotland around 1839 and arrived at Allansford after time at Glenample at Port Campbell. Isabella married Walter Stephen Helpman in 1877. Walter was a son of Captain Benjamin Helpman and Ann Pace, a sister of Jane Henty. “Family Notices” The Argus (Melbourne, Vic. : 1848 – 1957) 22 August 1877: 1. Web. 9 Mar 2018 <http://nla.gov.au/nla.news-article5934405&gt;. 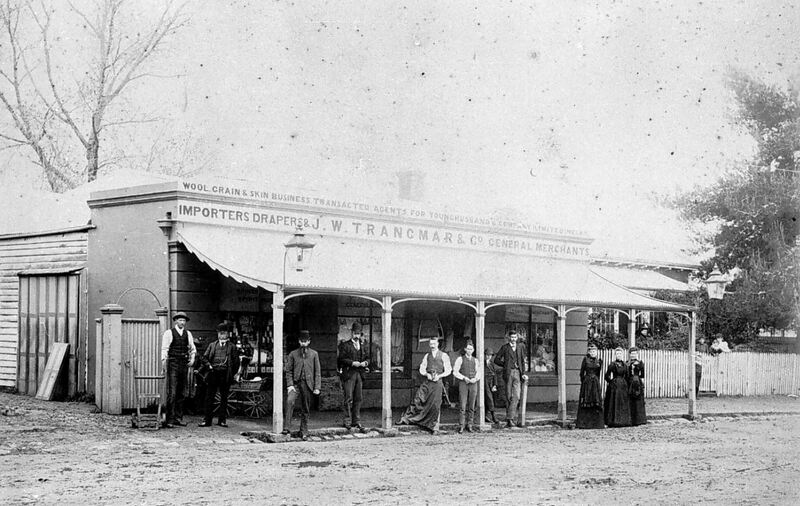 Walter was a banker, having worked with the National Bank at Warrnambool and Geelong and as manager of the Colonial Bank at Koroit from 1875 and in 1876, started a branch at Port Fairy. In 1877 he became manager of the Warrnambool Colonial Bank. 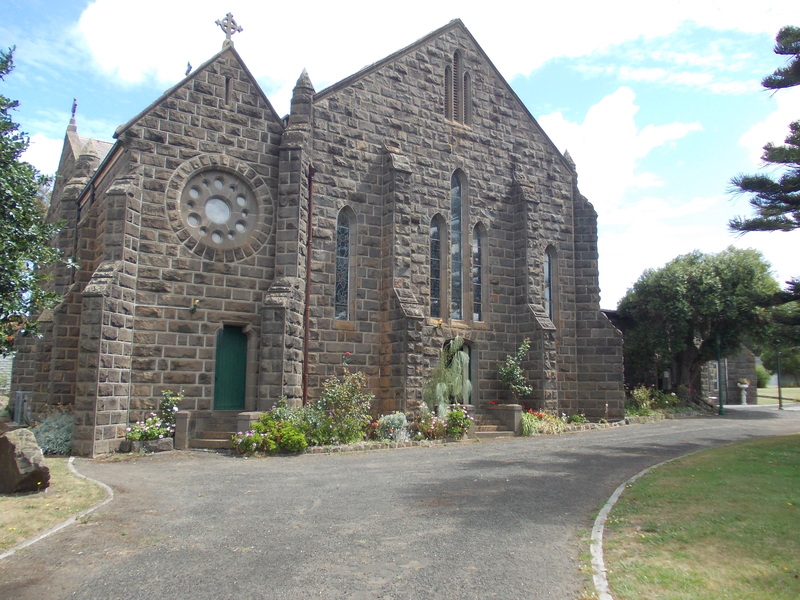 The first of Isabella and Walter’s children was Francis born in Warrnambool in 1878. Then followed twins Isabella Jean and James in 1881 and Gordon was born in 1884. It was in 1884, Isabella’s brother John Murray entered state politics, becoming Member of the Legislative Assembly in the seat of Warrnambool. Isabella shared his interest in politics and campaigned at State and Federal level. A cause John was passionate about, one not popular among politicians, was the welfare of Aboriginals, in particular, those at the Framlingham Reserve. John and his sisters Isabella and Mary came to know many of them personally and fought for their rights. In 1890, when the government attempted to move the Aboriginals on the reserve, John fought to save part of the land for them. In 1909, John became Premier of Victoria and chair of the Board for the Protection of Aborigines. Isabella was active in the Warrnambool community helping the less fortunate. She was a member of the Ladies Benevolent Society for thirty years, including time as President. She also fundraised for the hospital and served as treasurer of the Red Cross for five years. Walter left the Colonial Bank in 1902 and the Helpmans left Warrnambool. 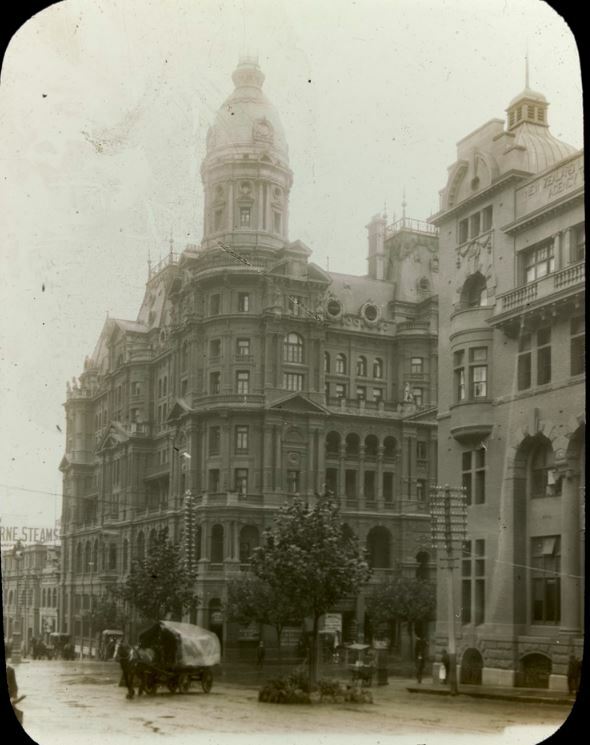 Walter had a job as a clerk with the Customs Department in Melbourne and the couple moved to 547 Collins Street, Melbourne, the location of the Federal Hotel (below). Meanwhile, grandchildren were arriving with Theo born in 1904 to Jean Helpman and her husband Boer War veteran Albert Duka In 1907, Isabella and Walter’s son James married May Gardiner at Millicent, South Australia. A son Robert known as “Bobbie”, was born to James and May at Mt Gambier in 1909. They are pictured below. 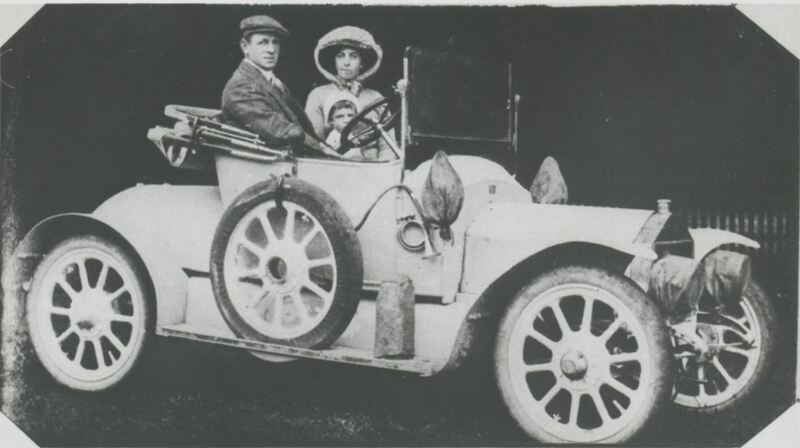 Walter and Isabella returned to Warrnambool around 1912, but two years later Walter died on 24 June 1914. More sadness came in 1916 when Isabella’s brother John, the former Premier also died. She had added concern with her son Gordon serving with the King Edward Horse from 1914, and the Royal Flying Corp from 1916. Daughter Jean was also at the front in a nursing role with her husband Albert Duka, a surgeon. During that time grandson, Theo Duka came into Isabella’s care and he was enrolled at Hamilton College. By that time, Isabella was renting The Hutte at 21 Banyan Street, Warrnambool. She continued her community work and was also active socially. 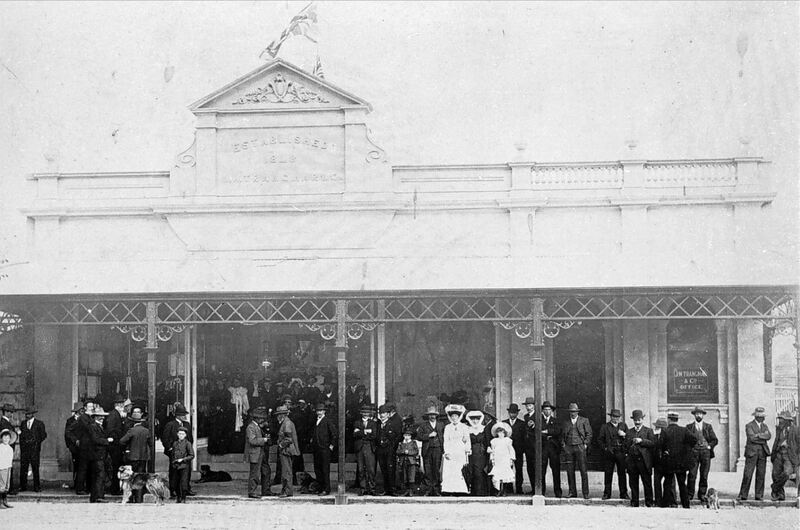 On one occasion in 1919, she was the hostess of a tea given by the President of the Warrnambool Racing Club over the May Carnival. It was in the same year, Isabella had a lucky escape in December when a rag with flammable liquid was lit at her home during the night. Fortunately, Isabella’s maid woke and found the fire before there was too much damage. Although the fire was suspicious, there was no motive. After that incident, Isabella moved to Waikato in Waikato Court, Warrnambool, home of her brother James. Isabella died at Waikato on 27 January 1924. The Helpman name became a household name from the 1920s when Isabella’s grandson Bobbie made his stage debut in Adelaide as a ballet dancer. He went on to become one of the world’s leading dancers and Shakespearean actors, Sir Robert Murray Helpmann. He is pictured below with the great Kathryn Hepburn in 1955. 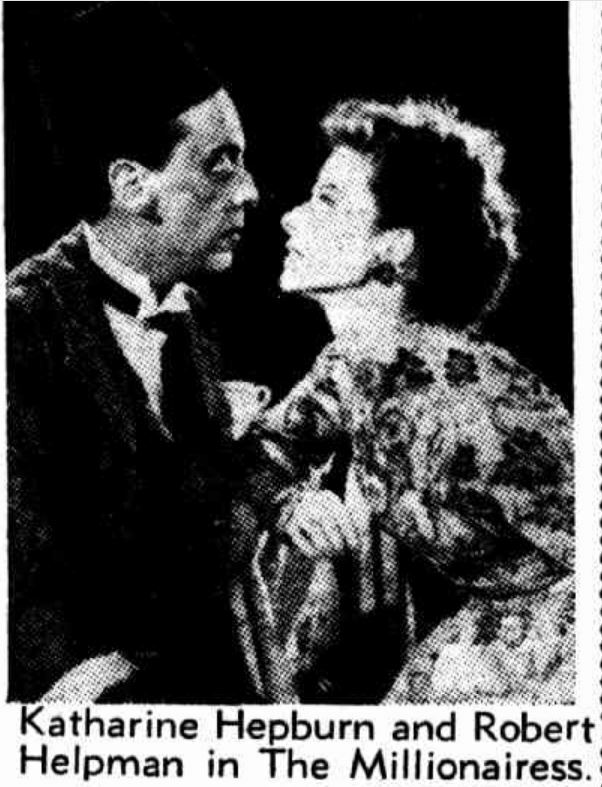 “NO SUBTLETIES IN OLD VIC’S SHREW” Tribune (Sydney, NSW : 1939 – 1976) 1 June 1955: 7. Web. 16 Mar 2018 <http://nla.gov.au/nla.news-article236256137&gt;. Kate McCann was born on the ship St George off the coast of San Francisco, California on 15 September 1849, a daughter of Robert James McCann and Matilda Jane Crouch. Robert and Matilda had married in 1834 in London. The law at the time meant since Kate was born on a British ship, her birth was registered in the Parish of Stepney, London. The same year the McCanns arrived in California, Robert died. Matilda remarried to Eustace de Arroyave. Kate grew up playing on the family ranch Lone Pine in the Rocky Mountains, California but Matilda died in 1865 when Kate was sixteen. Kate, her brother Arthur and a half-sister Eustasia travelled to London to live with their aunt Emma Crouch. In 1866, Emma with Kate, Arthur then aged twenty and Eustasia aged eight boarded the ship Great Britain for Melbourne arriving on 26 December 1866. They then caught the steamer S.S. Edina to Portland. In 1876, Kate married James Trangmar at St.Stephen’s Church, Portland. She had a connection to the Trangmar family as her uncle George Crouch was in business with James Trangmar and he married James’ sister Mary Ann Trangmar. “Family Notices” Hamilton Spectator (Vic. : 1870 – 1918) 22 March 1876: 2. Web. 10 Mar 2018 <http://nla.gov.au/nla.news-article226036873&gt;. Kate moved from Portland to Coleraine where James had worked from around 1866 in a store owned by his father and managed by his uncle George Trangmar. On 3 February 1878, Kate had a son. They went on to have eight children. In 1880, Mary Ann was born on 24 June 1880 and died the following day. By 1904, Kate was living at Coma Villa, Sturt Street, Ballarat while James was still at Coleraine. In 1904, her then elderly aunt Emma Crouch took sick and travelled with Kate’s sister Eustasia to be with her in Ballarat. Emma died on 11 April 1904 at Kate’s home. The following year there was a burglary at Coma Villa while Kate was out at the South Street Competitions. “No title” The Ballarat Star (Vic. : 1865 – 1924) 2 October 1905: 2. Web. 19 Mar 2018 <http://nla.gov.au/nla.news-article209029432&gt;. In time, Kate was back in residence at Coleraine and in 1906, James opened a new store on the same site as the original building. Kate died on 27 July 1929 at Coleraine. James and six of her children were still alive at the time of her death. James died in 1938 at Coleraine. Trangmar’s store was run by members of the Trangmar family until 1969, first under the charge of Kate and James’ sons Herbert and Edmund. A small band of pioneers for January, ranging from the rich and influential through to a bullock wagon driver who drove produce to the ports, to aid the rich and influential become more so. 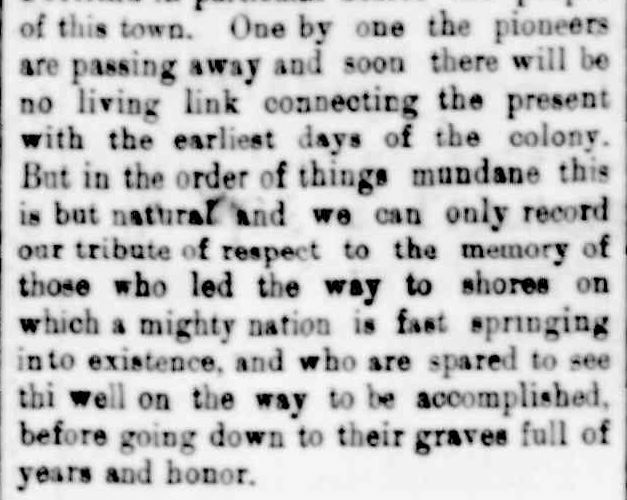 There is also the obituary of Catherine Grady, an Irish Famine orphan. Francis HENTY: Died January 1889 at Kew. Francis Henty featured here several times, was one of the Henty brothers, early European settlers at Portland. Francis had a house at Portland, one that I have written a post about, Claremont, but he spent much of his time at the Henty property, Merino Downs, and in later in life, his home Field Place in Melbourne where he passed away. Noted in his obituary, that while his presence was often not felt in the town, post the settling of Merino Downs, Francis Henty’s donations over the years were much appreciated. Catherine GRADY: Died 3 January 1916 at Macarthur. Catherine Grady was born around 1836 in Wexford, Ireland and arrived in Port Fairy at seventeen. She married Archibald Hamilton there are they moved to Mt. Napier station where they remained for many years, then on to Macarthur where they both remained until their deaths. Catherine was a nurse and it was said she attended over 300 maternity cases. Catherine and Archibald raised a family of twelve children. I found Catherine on the Famine Orphan Girl Database on the Irish Famine Memorial (Sydney) website. John Sinclair COX: Died 11 January 1918 at Hamilton. John Cox was born in Ireland in 1850 and travelled to Victoria with his family around 1857. He resided in the Hamilton district almost from that time and ran a successful butcher shop. At one time, he ran for the Shire of Dundas but was unsuccessful. John passed away at Greenwood Park, Hamilton and left a widow, two sons and one daughter. Matthew TOWNSEND: Died January 1916 at Portland. Matthew Townsend was born in Cambridgeshire in 1832 and arrived in Adelaide in 1857, but travelled on to Digby. In 1865, he opened a store in Digby that he ran for forty-three years, including forty as postmaster. Matthew married around 1867. He had many stories to tell of the old times in Digby included four-in-hand coaches, wool wagons and visits by Adam Lindsay Gordon. In his later years, Matthew moved to Portland where he passed away. He was buried at Digby cemetery. Mary Ann MURPHY: Died 26 January 1918 at Willaura. Mary Ann Murphy was an early pioneer, born around 1843, and she and her husband Patrick Nicholson, settled at Warracknabeal in the “early days of agricultural development”. Around the turn of the century, Mary Ann and Patrick moved to the Ararat district, taking up a sub-division at Willaura, Mary-Ann and Patrick raised a family of fourteen. Elizabeth Jane PETERS: Died January 1923 at Warracknabeal. Elizabeth Peters was born at Digby on “Black Thursday” 1851, her father having arrived with the Hentys some years before. After her marriage to Henry Lang in 1872, they settled at Merino. After Henry’s death, Elizabeth moved to the north-west of Victoria to live with her son, where she remained until her death. Mark KERR: Died 31 January 1925 at Portland. 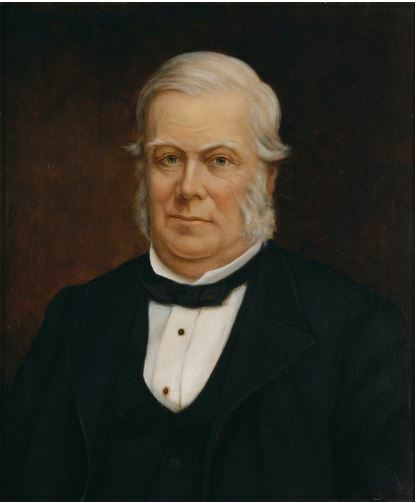 Mark Kerr was born around 1850 at Portland, and it was noted he was born in the “Police Paddock”, not far from the place he died seventy-five years later. Having been born in a paddock, it was fortunate Mark’s father was a doctor, but it was thought he didn’t practice in Portland. Mark Kerr worked as a teamster, driving bullock wagons from the north with wool and other produce for the Port of Portland. At one time, he owned the Emu Flats Hotel at Kentbruck, built by another Passing Pioneer, John Johnstone. He later returned to Portland where he remained until his death. Eliza HAZELDINE: Died 12 January 1941 at Portland. Born around 1857 at Portland, Eliza Hazeldine, a former student of John Hill of Portland, joined the Education Department at 15 and the first school she taught at was North Portland. She later taught at Koroit, Corindhap, Queenscliff, Coleraine and Casterton. Mary Ann was a resident of Casterton for about five years and it was there she met her future husband Job Lea. After marriage, she left teaching but Job passed away after two years of marriage, leaving Mary Ann with two babies. After nineteen years, she returned to Portland before opening a store at Condah Swamp, including the first post office there. Condah Swamp was later named Wallacedale, where she resided for twenty-two years. In 1919, she again returned to Portland and remained there until her death. One of Mary Ann’s son, Charles was killed at Gallipoli in 1915. William BOYLE: Died 3 January 1942 at Camperdown. William Boyle was born in Ireland around 1868 and arrived in Victoria as a 15-year-old. Keen to see Australia, he travelled along the southern coast and then inland, droving stock from Central Australia to the Western District. William later established newsagents in Camperdown that he ran for 50 years. He was also a foundation member of the Camperdown Bowling Club and was playing up until weeks before his death.